It’s been a tough ten days. No matter where you stand on the election, its impact goes far beyond the mere casting and counting of votes. Many people naively believe that this is just an election process and, now that it’s over, it’s time for everyone to move on. But this time it’s more – no matter which side of the aisle you supported. And that’s a big part of the challenge – it’s so much about sides. I personally know people who are not just sad, but deeply grieving. I know people who are not just scared, but feeling terror. I know people who are wondering what this (not just the election, but the perspectives of the citizens of the United States) means for our children, our communities and our nation. I’m not grieving, and I’m not feeling terror, but I am sad, I am scared and I am wondering. But this post is not about the election or the nation (or maybe it is). 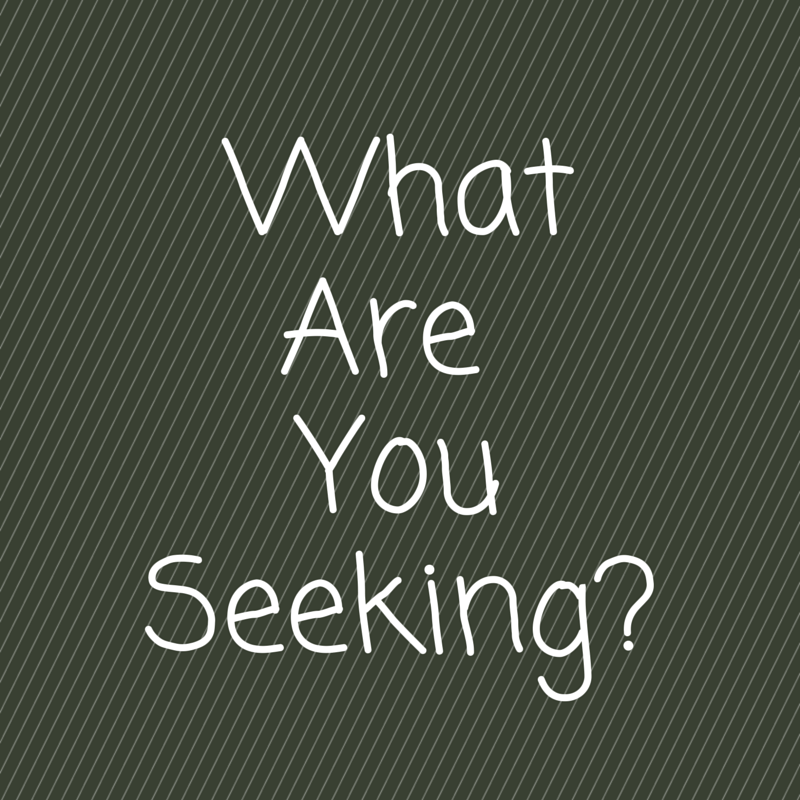 I want to talk with you briefly today about this question – What are you seeking? First, are you asking questions – any questions – about what’s on the hearts and minds of people? Sadly, these are difficult questions to ask because today’s reality is that such questions often lead to assumptions, judgments and even attacks. I ask lots of questions, and I’m finding that when I do I often am greeted with assumptions about my position or vote. Apparently, some people believe that I ask questions only from a place of my own positions, but that’s not true for me. In fact, it’s often just the opposite, which leads to the more important point. Second, if you are asking questions, what’s your motive and what are you seeking? Are you seeking to get information to use against someone else in the form of a judgment or an attack? Are you seeking to get information in order to make your case so you can be right? Certainly, there has been plenty of this type of questioning over the past several months and especially during the past ten days. OR, are you asking questions simply to understand another person, including his or her experience and perspective? Frankly, I see absolutely no use or value for the first two types of questions I mentioned. They serve no purpose other than for the sole interests of the person asking them. They don’t serve to bring us together and are generally intended to push us apart or solidify our entrenched positions. They certainly don’t serve the interests of working together for change, and everyone seems to want some form of change. I want to better understand those who agree with me and learn from them, including the unique and different perspectives that everyone has to add to the discussion. But I especially want to better understand those who disagree with me or who see things differently than me, which allows me to learn even more, to experience differences without judgment, and often to find the sources of our common experiences and perspectives. Just as important, seeking to understand is an act of compassion and discernment that will serve all of us as individuals, teams, families, communities and a nation. 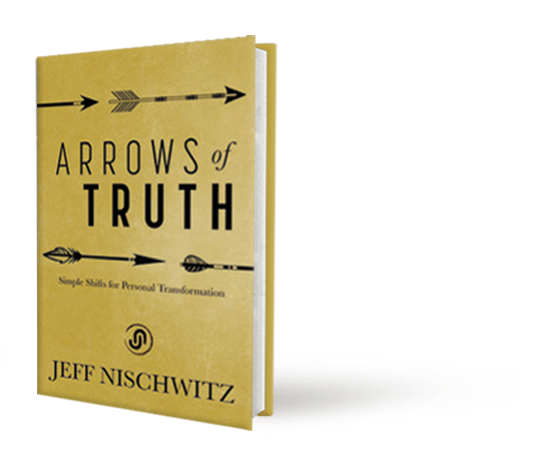 Seeking to understand is at the core of what’s needed in all of our relationships, businesses and organizations. Are the team members in your organization seeking to position and defend, or to understand, engage and collaborate? Leadership is about understanding, not positioning. Leadership is about listening, not attacking. Leadership is about being open to differing perspectives, not judgments. 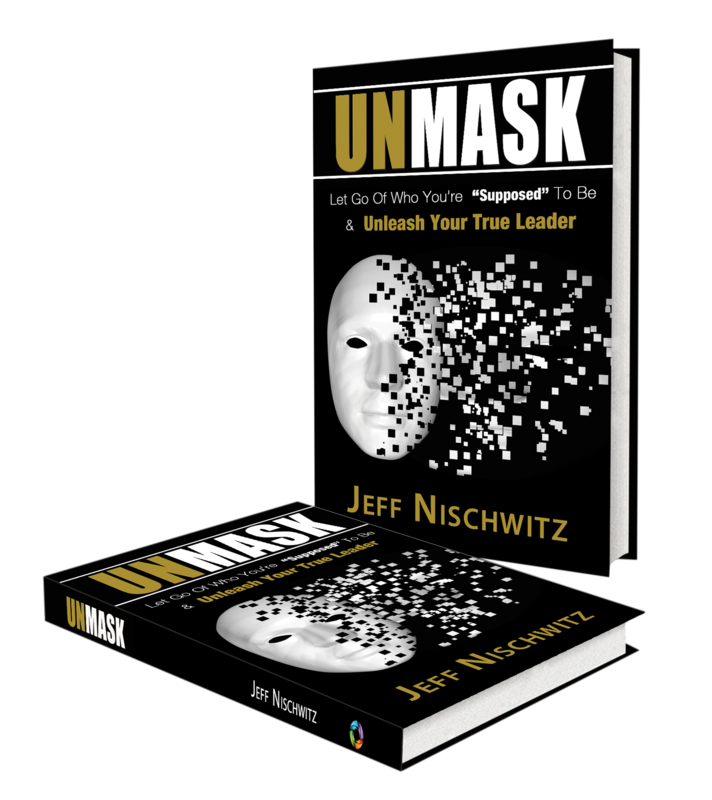 Make no mistake – I’m not suggesting that any of you should give up what you believe, but I am suggesting that believing in something is not a reason to judge, attack and entrench. I can have my clear beliefs, and I still also seek to understand with compassion and an open mind and heart. I choose to seek to understand. I choose to learn. I choose to listen. I choose to be open to different perspectives. I choose to see and honor differences. I choose to stand for those who have been marginalized and diminished. I choose to extend a hand to lift someone up. I choose to speak up when I see or hear an injustice. I choose to believe that change comes from the small, courageous acts of individuals and small groups of thoughtful, committed citizens (thank you, Margaret Meade). I choose to step into the fire and lead. What will you choose?